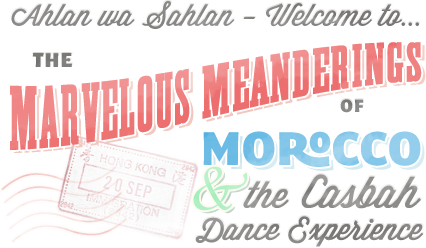 Home » Reviews » Book » The Definitive Book on Middle Eastern Dance! 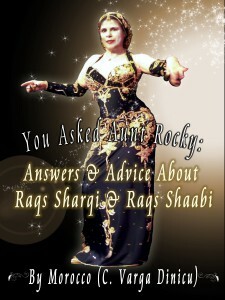 In “You asked Aunt Rocky: Answers & Advice about Raqs Sharqi and Raqs Shaabi”, Morocco, known as “Aunt Rocky” to her students, also known as Carolina Varga Dinicu in academic circles, sets to rest many of the myths and misconceptions surrounding Middle Eastern Dance. Morocco comes across as very knowledgeable in her subject matter without being dry or academic. She has traveled extensively to Egypt and the Middle East and the book contains many firsthand accounts of the dances and rituals she has observed in her travels. Other interesting sections include an interview with Mahmoud Reda where he describes how he developed his “Character Dances” and adapted traditional Egyptian dances for the stage so that they would be more interesting to the audience. 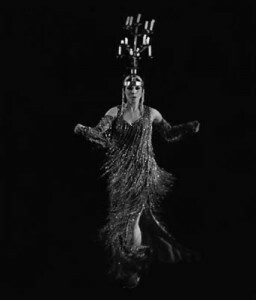 I know of many dancers who insist that the Melaya Leff is a traditional dance from Alexandria and refuse to believe that it is a dance that was “made up” for the stage by Mr. Reda. There is also a section on an enterprising young man named Mahmoud Abd El Ghaffar who decides to cater to the increasing number of Dance Tourists in Egypt, and becomes the inventor of the hand-beaded Egyptian Costume that is so popular today. I have friends who have fond memories of visiting Mahmoud and his wonderful Al Wikalah Costume Shop while vacationing in Egypt. I have read the book once, and have started to re-read it. There is so much information packed into this volume, that I am constantly discovering interesting tidbits that I missed the first time. 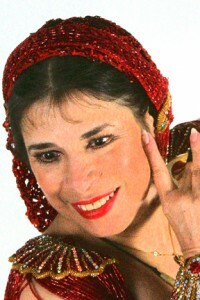 The book is also a wonderful reference book on the subject of Middle Eastern dance and culture. Although this is a large book, Morocco’s writing style makes it an easy, enjoyable read. I wish that every Middle Eastern Dancer would read this book and learn the truth about this dance form that is much loved in our country. This book is a Must Have for every Middle Eastern Dancer and anyone who is interested in the culture and traditions of the Middle East. Enough from me — Buy This Book and Read It !